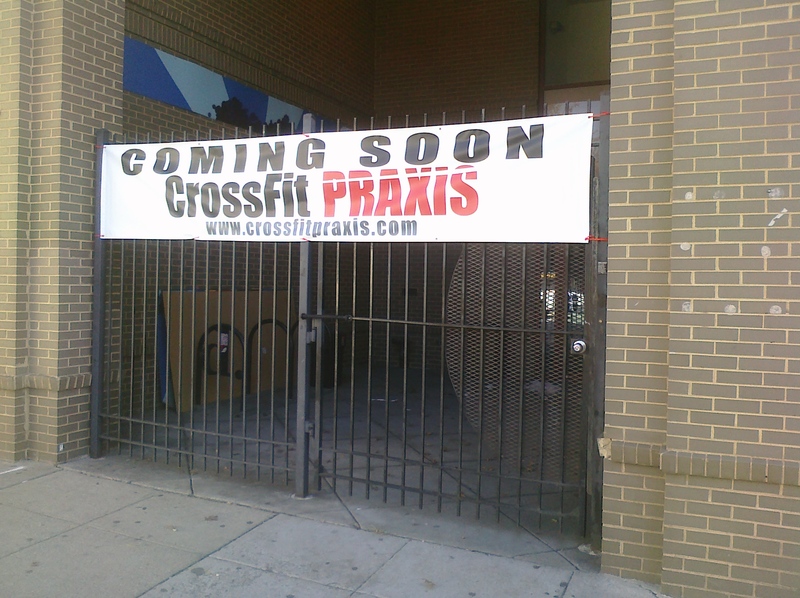 Crossfit Praxis is now open at 14th and Florida. That didn’t take very long, as I first noticed the coming soon sign back in November. Most of you might already know this news, as the gym was profiled in the Express yesterday, but I’m more of a New Yorker reader on the Metro in the morning. While I’ve never done a Crossfit work out, I know the gym has its devotees – so glad to see another gym option in the hood. The end of the year gives us a moment to reflect on all that has happened. For the past two years I have looked at the best and worst of what has happened on the greater U Street area, so let’s look at this year’s. Best new restaurant: So neither of these restaurants are open yet, but they will be so soon – and they are filling in a much needed niche in the neighborhood – fast, affordable, but good food. The anticipation for Taylor Gourmet and Black & Orange is high, and I know they’ll meet expectations. Who won last year: Fast Gourmet. Best new bar: This was a hard one to figure out. There have been a few new bars open along the 14th and U corridor, but none are exactly exciting in the way that The Gibson was when it opened. I reluctantly bestow this on Blackbyrd Warehouse, mostly because this new bar is one of few you can go to on a weekend night and get a seat, a good drink, and be able to hear your companion. Who won last year: Dodge City. Best meal on U street: I’m a creature of habits sometimes. The restaurant/bar I continue to return to, no matter the occasion, is Bar Pilar for a great meal in the U Street area. The food is good, the atmosphere relaxed – you can come in for a drink and a snack or a full meal. The fact that they have been closed for renovations for the last month has been hard on me, friends. Winner last year: Birch and Barley/Estadio. Best new business on U street: Smucker Farms. While a few of us voiced some disappointment with their opening, I think the store has great potential, is a great idea, and I look forward to continue shopping there and see where they go. It’s great to see these kind of businesses – locally-owned, lovingly run – opening in the neighborhood. It also sets us apart from other neighborhoods, who else has a business similar to Smucker Farms? Winner last year: Ginger Root. Best story of the year: Pulp remains open. When the store announced it was closing, it was a bummer and a blow to locally owned, long standing business in the neighborhood. It was so wonderful to hear that someone had swooped in to buy the store and keep it open. The 14th and U neighborhood needs businesses like Pulp. Winner last year: Movies at Harrison Field starting up. Worst story of the year: This year on U street has been much more kind to us than last year, when the neighborhood was shocked by two violent crimes fairly close together (see below). I would say the worst story of the year isn’t one story, but the overarching theme of local business being closed for mega-developments like Utopia, the small guy getting pushed out for huge corporations and chains. While development is good, I also don’t want to lose what has made me love this neighborhood in the process. Winner last year: Jamal Coates’ and Ali Ahmed Mohammed’s death. Sad to see them go: Mid City Caffe. They were named my favorite new business back in 2009, and I loved their coffee, relaxed vibe, and good music. Such a shame to see them go, but the area was lucky enough to have Peregrine Espresso open nearby, filling our good coffee needs. Runners up: Garden District, Go Mama Go, Mercadito Ramos. Same as last year, Black Cat is throwing their New Year’s Eve Ball with Peaches O’Dell and her Orchestra. Tickets are $25 and doors open at 8. U Street Music Hall is having Moombahton Massive X with Nadastrom, Sabo, Jen Lasher, The Gent, and Cam Jus. The event is 21 years and older, with tickets $20 – which they suggest buying in advance. El Centro D.F. is offering a three-course Mexican tasting menu in the dining room, drink specials on the roof, and a DJ spinning in the basement tequileria. There will be two seatings – from 6-8:30, which is $40; and from 8 to closing, which is $60 and includes a champagne toast. 1905 is having their annual New Year’s Eve dinner and party, including a three course prixe fixe menu ($55 per person), a champagne toast, and cash bar all night. The Gibson is mixing things up this year with a Heaven and Hell themed NYE party featuring an open bar, catered food, and a champagne toast. Tickets are $150. Eatonville is having two seatings for a prix fixe menu featuring live music: the first seating with three courses is at 6:30 for $39 and the second with four courses is at 9:30, and also includes a glass of champagne for $59. Live music will be provided from NeoGroove Movement, a DC based retro-Modern jazz fusion collective. Masa 14 will feature a DJ and two dinner seatings, similar to other area restaurants. From 5-8 you can get a $55 prix fixe menu and after 8 they are providing a 4 course menu with a midnight toast for $75. At the bar there will be $5 happy hour drinks all night. Local 16 is having a big bash with an open bar from 9PM to 10PM, passed hors d’deuvres, and a champagne toast at midnight with music from DJ MiGG-L. You can buy tickets online for $35. Go to Duffy’s for a more low-key New Year’s Eve celebration: no cover, $20 pitchers of beer all night like Fat Tire, Chocolate City Cornerstone Copper Ale, Port City IPA, and Washington’s Porter. DC9 will be dancing the night away with 4 hours of open bar, 2 levels of dancing, the prerequisite champagne toast, and a portion of the proceeds will be donated to the Coalition for the Homeless. Tickets are $55 if you buy online. Marvin/Blackbyrd Warehouse will throw an Apocalypse Marvin party – featuring an open bar from 8 to 10, DJ Jah-Sonic spinning music, and drink specials the rest of the night. Tickets are $20. Pearl Dive Oyster Palace is having a big party, with an open bar, passed hors d’deuvres, a raw bar, two DJs, and time to play on the bocce court if you want. Tickets are $150. Unfortunately, ChurchKey’s New Year’s Eve Beer Bash is already sold out. Hope that you spend time with friends and family, enjoy good food and drink, relax and kick back. Happy holidays from me to you.